It is awfully helpful to live and work within a 5 minute stroll of one of the coolest tasting rooms in America: Orin Swift Cellars. Have you been to their rustic-chic space on Main Street? 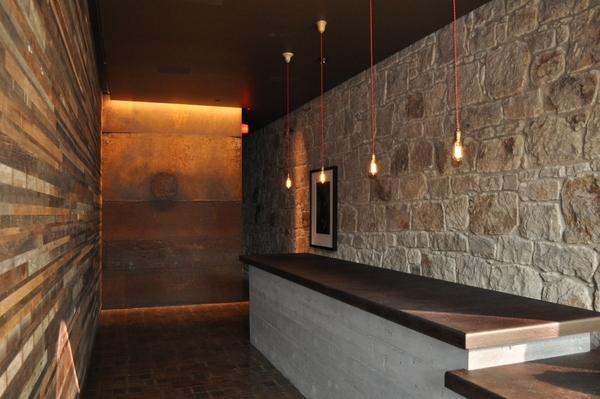 This gorgeous bar is usually festooned with bottles galore, including several wines that Orin Swift sells exclusively through this tasting room. 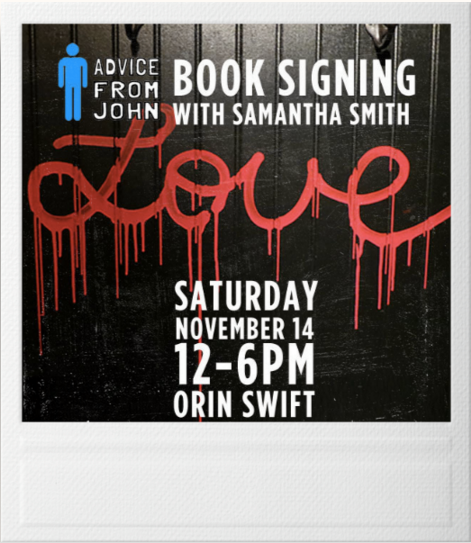 On this Saturday, November 14th, Author Samantha Smith will be at the Orin Swift tasting room from 12-6 PM, signing copies of her fascinating, raw & hilarious new book Advice From John: Finding The Answers To Life On Bathroom Walls ($25). Sammy has spent years in the diviest bars from coast to coast, drinking G&Ts and documenting the philosophical musings of the inebriated. This book plus a bottle of vino? Santa Claus can take a lesson from you, that's a great gift. COME! Buy! Mingle! 1325 Main Street in Saint Helena.